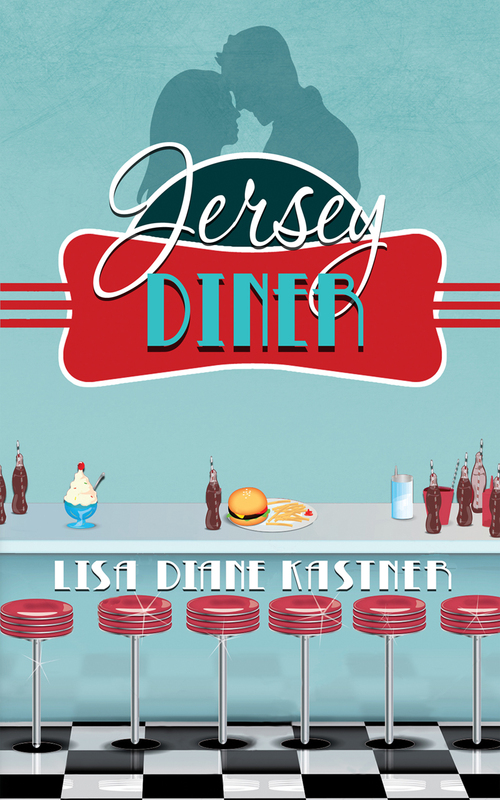 Author Lisa Diane Kastner chats with me about her new contemporary romance novel, Jersey Diner. During her virtual book tour, Lisa will be awarding (3) Amazon or Barnes and Noble (winner’s choice) gift cards in the amount of $50, $25, and $10 to (3) lucky randomly selected winners. To be entered for your chance to win, use the form below. To increase your chances of winning, feel free to visit her other tour stops and enter there, too! 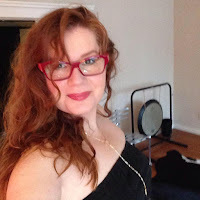 Lisa is a former correspondent for the Philadelphia Theatre Review and Features Editor for the Picolata Review, her short stories have appeared in magazines and journals such as StraightJackets Magazine and HESA Inprint. In 2007 Kastner was featured in the Fresh Lines @ Fresh Nine, a public reading hosted by Gross McCleaf Art Gallery. She founded Running Wild Writers and is the former president of Pennwriters, Inc. (www.pennwriters.com). She received her MFA in Creative Writing from Fairfield University, her MBA from Pennsylvania State and her BS from Drexel University (She’s definitely full of it). Her novel The Keeper of Lost Things was shortlisted in the fiction category of the William Faulkner Words and Wisdom Award and her memoir Breathe was a semi-finalist in the nonfiction category of the same award. Lisa presented at a TEDx in Seattle on The Power of Connecting. And presented at the Association of Writers and Writing Programs (AWP) on the “You Sent Us What?” panel. Born and raised in Camden, New Jersey The Redness migrated to Philadelphia in her twenties and eventually transported to Los Angeles, California with her partner-in-crime and ever-talented husband. They nurture two felonious felines who anxiously encourage and engage in little sparks of anarchy. Welcome, Lisa. Please share a little bit about your current release. First, I want to thank you for inviting me to your blog. Truly a pleasure to be here. Second, about the book … Jersey Diner is set in 1985, twenty year old Lauren has a dead end job as a waitress at the Oaklyn Diner. Alone and with no direction, Lauren becomes ecstatic when the diner is chosen to be the focal point of an upcoming movie, *Jersey Diner,* starring Jonathan Pearce. Scouted to be a part of the local crew, Lauren builds a relationship with him. When filming ends she moves to California to start a new life with him. In need of cash, she joins her friend Lena Harlow to run Lena’s food truck and catering business when Lauren discovers that all that she thought was real and true are in question. When I was a teenager, I was on a syndicated television show called, Dance Party USA on the USA network. I had a few fans who went to great lengths to discover my phone number and address. Some even visited me. Luckily, I was a bit naïve at the time and didn’t really understand this was abnormal behavior. So I started to wonder what would encourage someone to go to those lengths. What would be the impetus? And then I started thinking about my own crushes and how I responded to those. The combination of the two and a ton of research is what brought us JERSEY DINER. He plopped it into my arms. The script weighed more than a stacked tray. I had opened the cover and started flipping through the pages. I’m currently working on a few things. I’m the executive editor of Running Wild Press and I’m working on a novella anthology and on the first book of a new fantasy series called MAGIC FORGOTTEN by Jack Hillman. In addition, I’m working on a new novel series called, NEWLY MINTED WINGS AND SALTY FRENCH FRIES, which will start off with a novella by one of the main characters, Morgan Cruise. Morgan, is a former teen and twenties star who is finding much less glory in her older years. In search of a renewal, she reaches out to a trendy plastic surgeon. Anticipating that he’ll recommend a face lift, instead he tells her to get functioning wings. That’s right, those babies work! Morgan finds herself in flight over the Hollywood Hills and inadvertently runs into a rather long line at the local In and Out Burger starting a chain of events that will keep you enthralled. Great question. When I was in elementary school, I thought I was a comic book artist. My mom would buy these huge rolls of paper and give that and a box of Crayola crayons to me. I’d work on that paper for days creating scene after scene. At that point, I swore I would become a comic book artist. Then I quickly got bored when someone said I should go to school for it (gasp!) As an adult, I didn’t consider myself a writer until my first short story was published, which is pretty interesting considering that I had been a journalist, been a volunteer public relations representative and worked in communications before then. Somehow my subconscious only associated being a writer with fiction writing. Write full time? Now wouldn’t that be interesting … I have a day job, like most writers. I also run Running Wild Press. How do I find time to write? Well, I am naturally a sporadic writer. It’s like my brain needs to fill up with ideas before I can put them on the page. Once my brain is full – look out world! I have a huge backlog of stories that I’m slowly chipping away at. When I’m nearing a deadline or I’m working toward a deadline, I intentionally set time aside to ensure I meet the deadline. I was terrified of singing solo in public so my voice would crack. This said, I’m a killer lipsync-er. Sure. I’m happy to answer any questions you may have. Happy to chat. Also -- There is another tour for a book from Running Wild Press -- please visit http://goddessfishpromotions.blogspot.com/2017/04/virtual-book-tour-running-wild.html for more information. Thank you for having me. Truly a pleasure. Thank you for having me. Looking forward to chatting more. Great post - thanks for sharing the excerpt & interview. Great post for sure! Thanks! Fun interviews on the tour so far! Just stopping by to say hi! Hope you have a fabulous weekend!